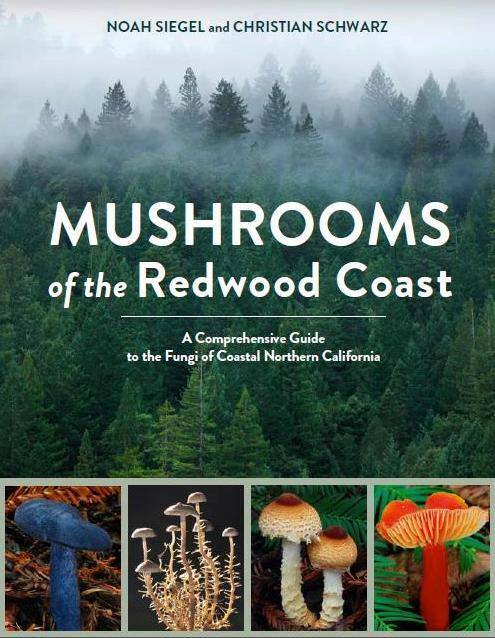 I love mushrooms, and I live on the Redwood Coast so I couldn't resist when I saw this book: Mushrooms of the Redwood Coast, A Comprehensive Guide to the Funghi of Coastal Northern California. It's a full-color guide to more than 750 species of mushrooms that grow naturally between Monterey, California and the border that California shares with Oregon. There are beautiful photos and descriptions of each mushroom with information about where it grows, what it looks like and whether or not it's edible. It also tells you how to find, identify and collect mushrooms and provides information about different varieties, from Chanterelles and Gomphoids to Brown-spored Decomposers. I never imagined that there were so many mushrooms where I live. This is a beautiful book with great information for mushroom hunters, or anyone interested in mushrooms. It's easy to understand and well organized. It would also make a lovely coffee table book. As a mystery writer, I know at some point I will use the information about poisonous mushrooms, where that might not be such a practical application for most people. The book's authors also maintain a Facebook page and can be found on Twitter @redwoodmushrooms. I received this book from Blogging for Books in exchange for a fair and honest review.